What Does Volume, CPC, and Competition Mean in Keywords Everywhere? Really, What are Keywords? Are They All The Same? Getting your Website Blacklisted is Simple Just Don’t Protect Your Customers & Online Brand. Website vs Web Application. Let’s Settle It! While working at Allied Computer Solutions I was in charge of the Mike’s Sound Solutions web project. 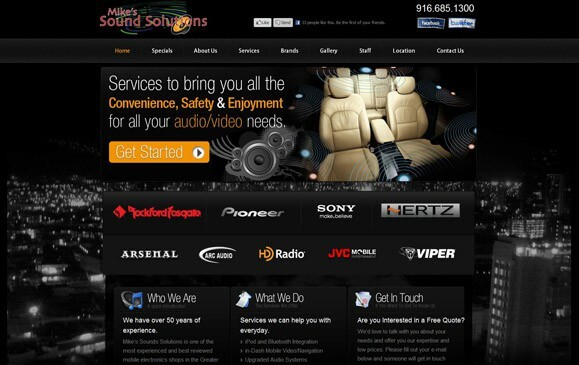 For Mike’s Sound Solutions I helped design and code an easy to use wordpress template. This custom template utilizes many great plugins and features of wordpress. Giving the owners a easy way to update content on their website as well as providing the users with a great experience. The goal of this tutorial is to create a fancy dynamic jquery accordion that you can access from your wordpress theme. This is great for FAQ pages or any page with lots of content. Wpalchemy will help us create our custom metabox quickly. Once you have the latest files place the two wpalchemy files into your theme’s folder. Here are my favorite “best of” lists for photoshop tutorials. I like to use these lists for inspiration when doing web site design and graphic work. I have gone through a lot of “best of” lists and here are my top three favorite. I hope you enjoy them as much as I do. This one helps block spammers from sniffing out your wordpress and post random comments. Helps protect your .htaccess from intruders.